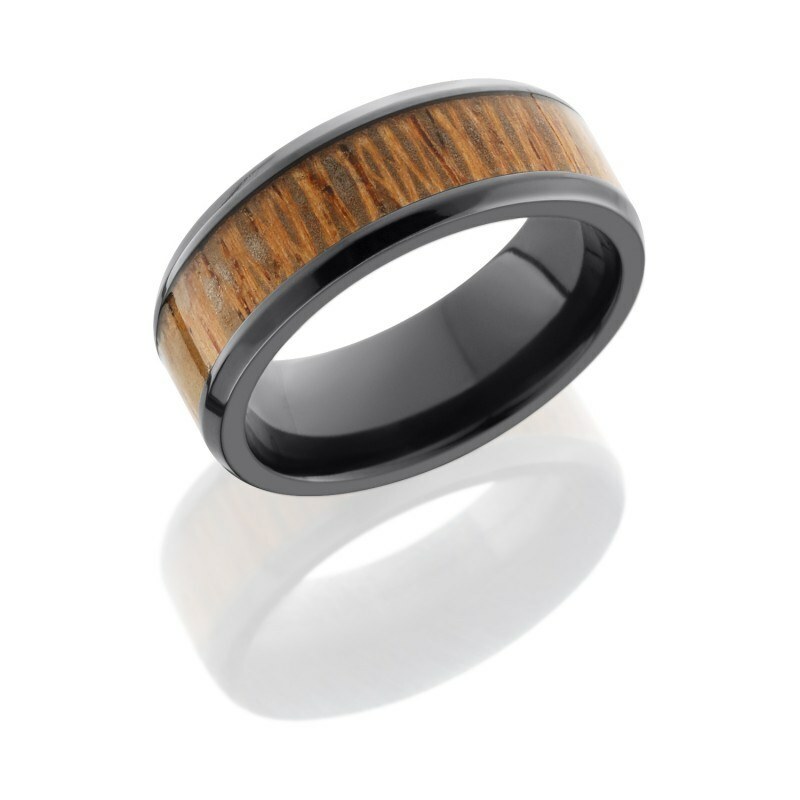 Hardwood rings are virtually water resistant and available in many colors. 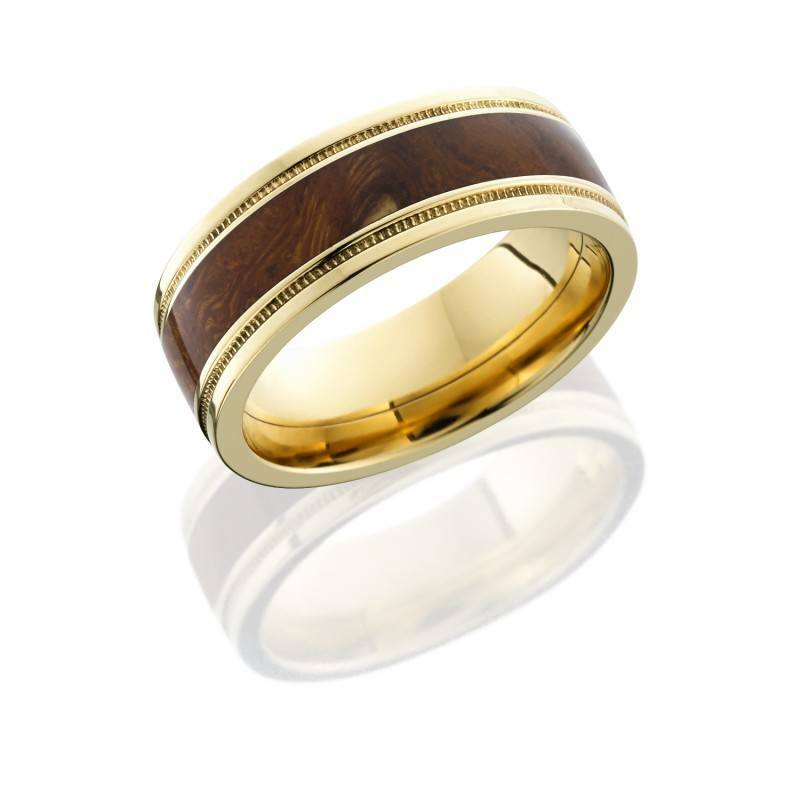 The infusion process used to produce the wood product gives it the density of brass and it can simply be buffed and polished. No stain, lacquer or other sealant is needed. 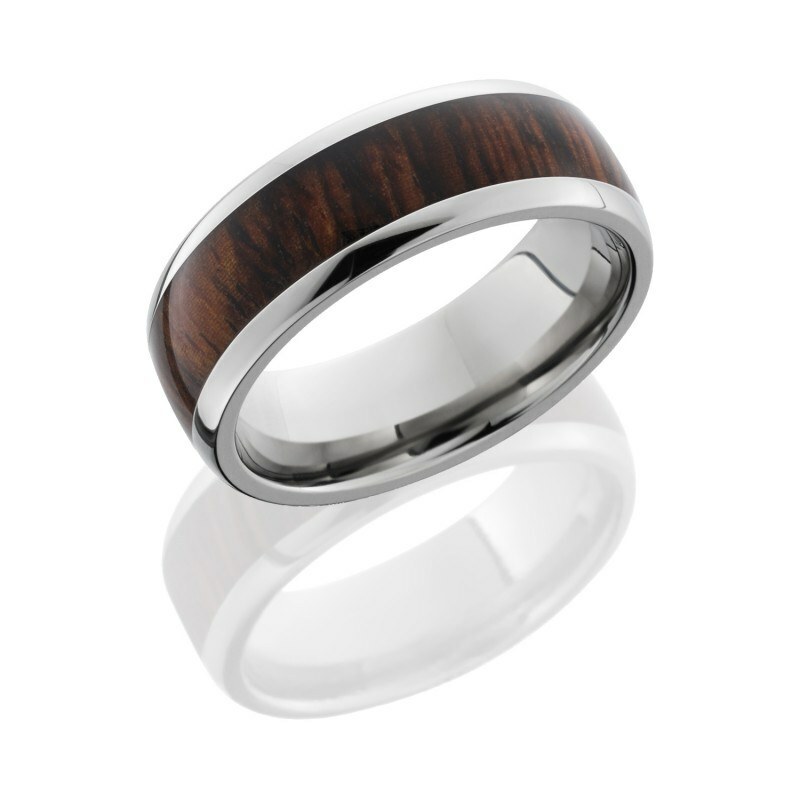 Hardwood rings can be inlaid in any alternative metals.